We are on week 2 of Five Friday Favorites! 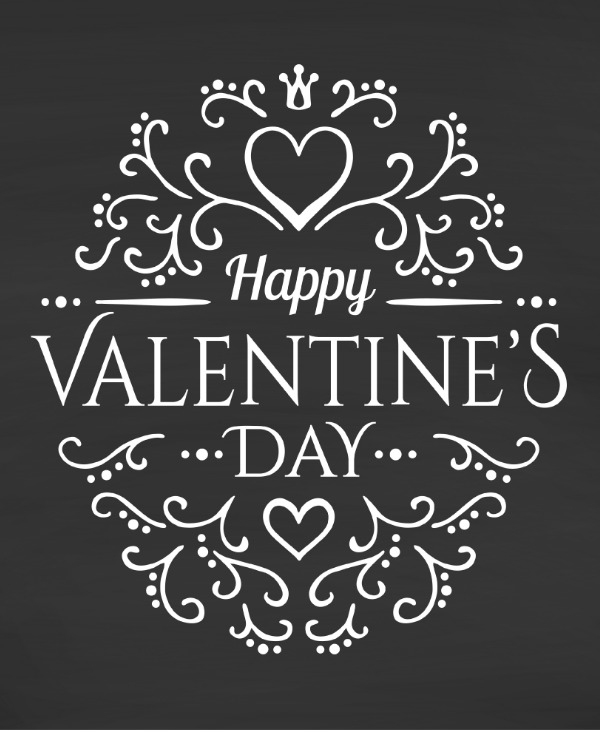 This week I'm sharing my 5 favorite Valentiny-ish tutorials. I know the big day is still a month away, but I figure if I start now, I might just get some of these done! I'm always on the lookout for new ways to use charm squares (5" squares), and this one is pretty clever. The tutorial uses layer cake squares (10" squares) and cuts them down into 4 charm squares. But how fun would it be to use all charm squares and make the hearts scrappy? 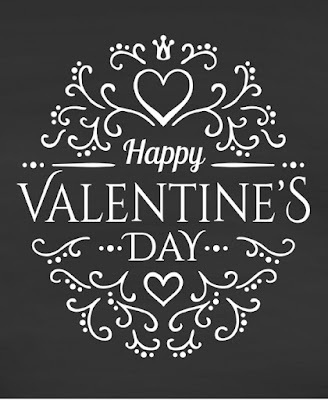 And I love this non-Valentiny version made by Christie Hurst. A local quilt group I attend (as often as I'm able!) 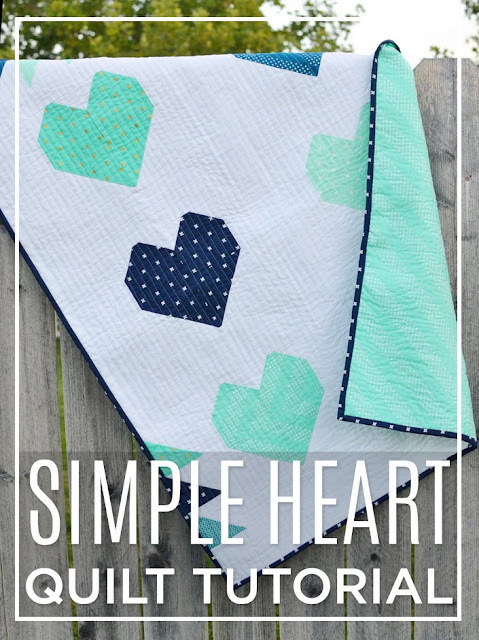 made these cute pixelated heart mini quilts last year. I had to miss that month's meeting, and since then I've been wanting to make my own. Amber (Gigi's Thimble patterns, A Little Bit Biased Blog) blogged about hers last March. I love that she used non-Valentines colors on hers. If/when I do get around to making one, I think I'll do the same! Now I know this doesn't really count as a "project" but honestly sometimes I just need a quick way to spruce up a space. Swapping out a photo for a cute printable like this one is right up my alley. Follow this link to find the link to the free printable on homeschoolencouragement.com. So there's my top 5! I had a hard time choosing just 5 for this week. 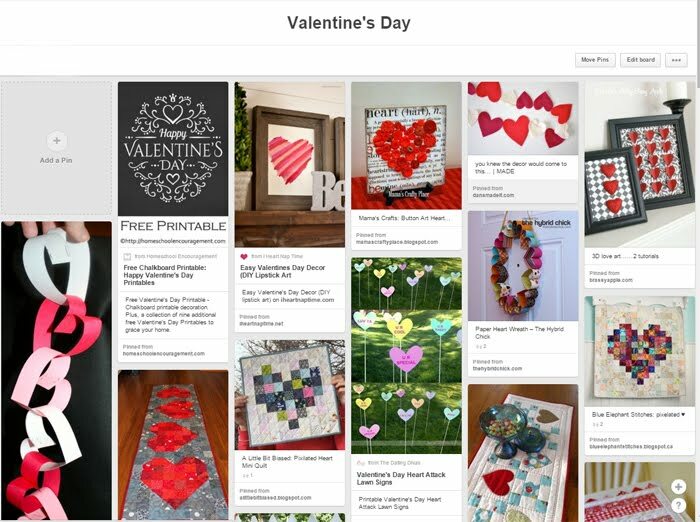 I have my other favorites saved here on a Valentine's Day Pinterest board. What did we ever do before Pinterest?? Great collection of Valentine projects. Thanks for compiling and sharing. 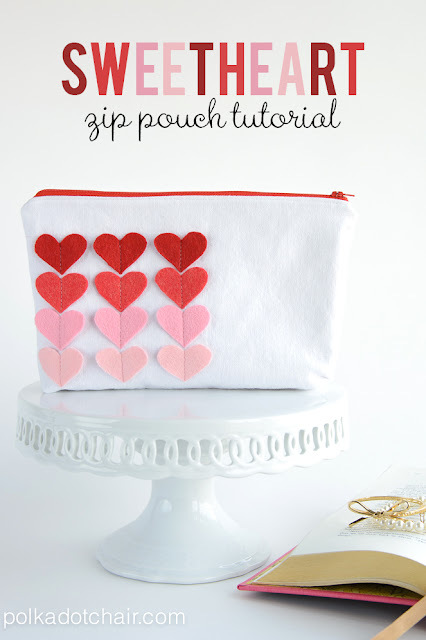 The heart zipper pouch is super cute.